Learn here the difference between inkjet printers and laser printers, know which is best for you and can help you calculate the cost per page. There are many factors to consider to differentiate between color laser printers and color inkjet, even if it seems simple decision must be very careful, as this will depend very high or significant ongoing expense. Color printers using laser technology usually give the best quality ever seen in documents, but everything has a cost, and this cost is high. I know cases of people who have been using a color laser printer just once, and then have to throw it away because they have no money to replace toner cartridges. The cost of replacement cartridges for color laser printer supply is the highest, after the cylinders, unlike the ink cartridges. 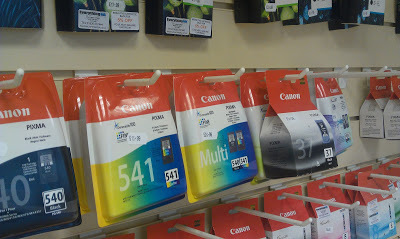 These have a lower cost but the quality is not the same, with new original ink cartridges can be likened some print quality for color laser printers. But it's never the same when we fill the cartridges. Saving money using ink cartridges is easier than using toner cartridges, ink cartridges are easier to fill unlike toner need special tools to make them work again. How laser printers work is very different from the inkjet, the cost per page of laser is much higher. 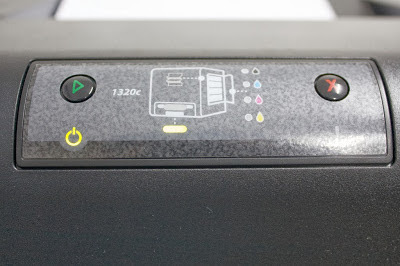 When replacing the toner cartridge or printer if you have a laser you may have to change all the toner, almost all laser printers the cost of a single toner is higher than two or four ink cartridges. We should consider making an evaluation of the cost per page, as toner cartridges in their average can print up to 10 times what it prints an ink cartridge, consideration will be all yours, depending on what quality is and how much money you are willing to pay per page.